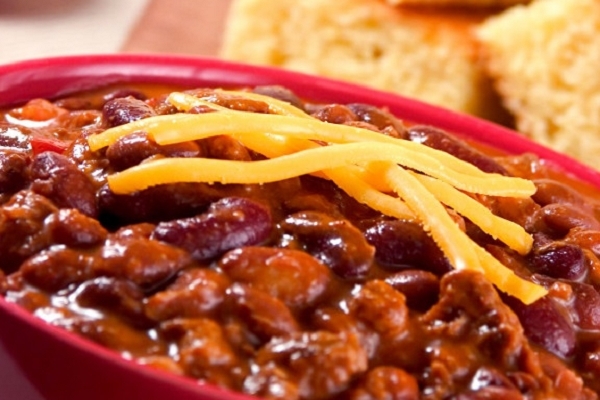 This Urban Chili is sure to please. With twists like portobello mushrooms and imported beer, it's taken to the next level to make for a sophisticated and unique blend sure to please all fans of big flavor in the urban jungle! 1. Heat a sauce pan on medium heat. 2. Empty contents of Urban Chili into sauce pan. 3. Heat thoroughly until warm. Excellent all the way around...not too spicy, but very flavorful. The cornbread was perfect. I do not eat a lot of chili but I loved Maria's Urban Chili. Glad to see it is back on the menu. I have already placed my order!! Maria, we love your chili. The cornbread is good but way too sweet. Tastes like cake. I would give this dish 5 stars if the cornbread was less sweet. Very tasty. Enjoyed it. Cornbread delicious. 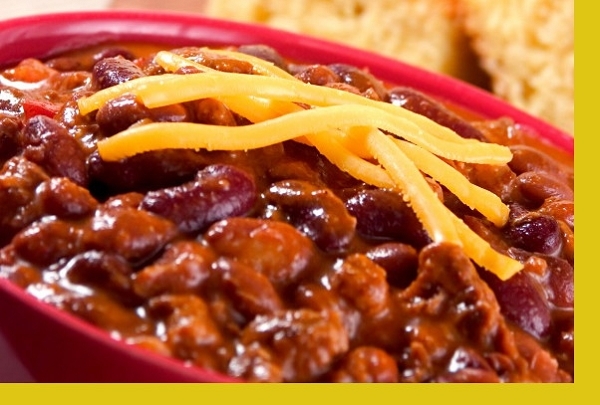 I really enjoyed the chili and with the corn bread it was great and even better the next day. Not my favorite, kind of bland? Need cheddar to put on top or more flavor? This is more of a soup than a thick Texas chili which was fine with us. The thing that made this meal was the fabulous cornbread which we couldn't get enough.of.It was perfect for dipping into the soup like chili. This was the best chili ever. Great flavor ad the cornbread was also very good.